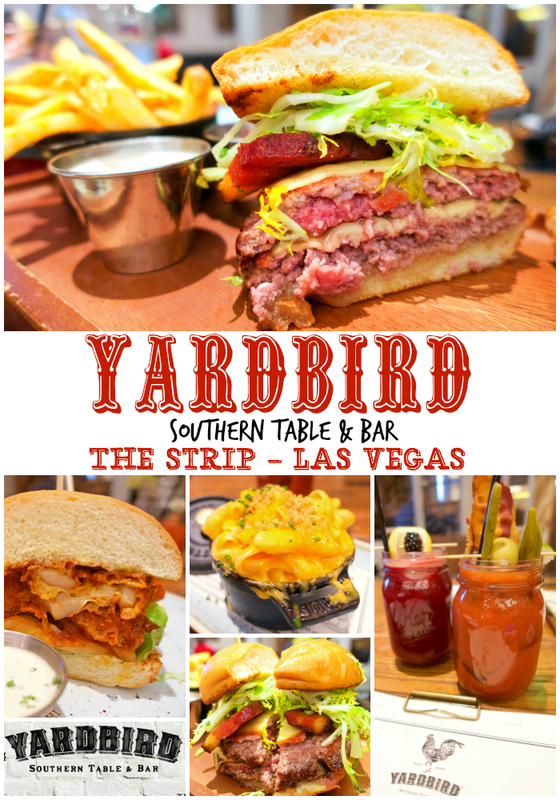 Yardbird Southern Table and Bar - Las Vegas - located inside the Venetian. We went for lunch and it was fantastic! 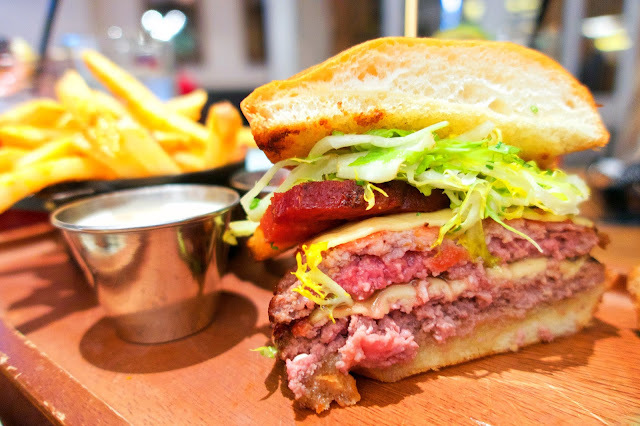 The burger was one of the best we've ever eaten! The cocktails are amazing! We can't wait to go back! 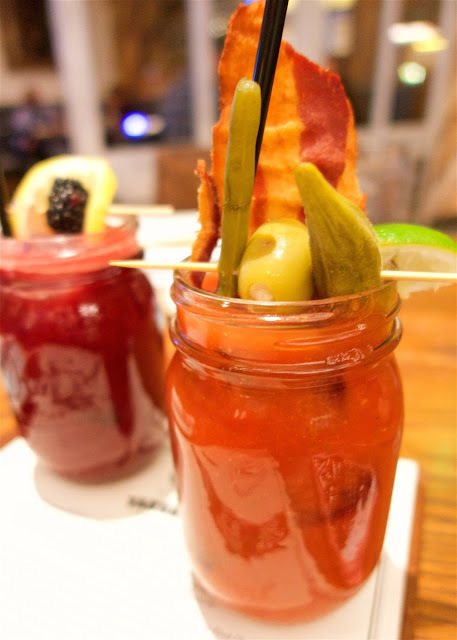 A MUST on your next Vegas trip! We spent the Thanksgiving holiday in Las Vegas. 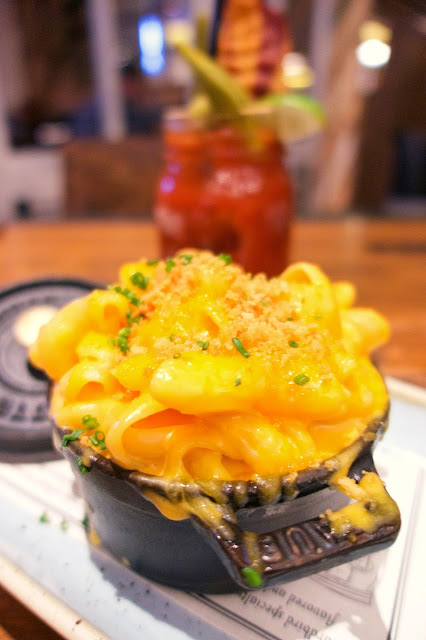 Since we frequent Vegas, we always try and eat at a few new places on each trip. 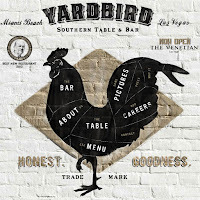 One of our favorite new places was Yardbird in The Venetian. It was crazy good! We are definitely going back on our next trip! We started out with a couple of cocktails. I got the Blackberry Bourbon Lemonade. 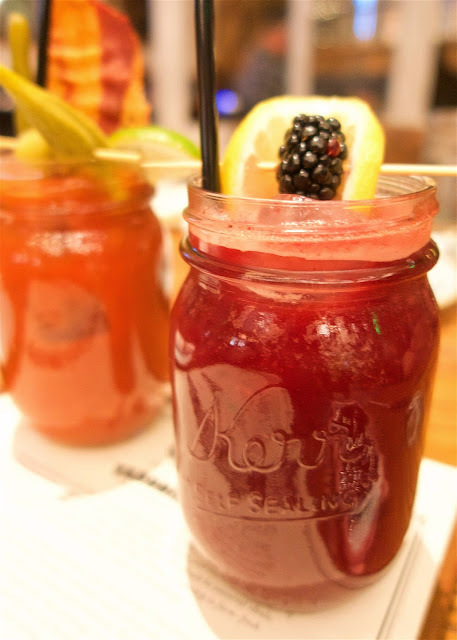 Fresh-Pressed Lemon Juice, Buffalo Trace Bourbon, Organic Blackberry & Cardamom topped with Sparkling Wine. I loved everything about this drink! 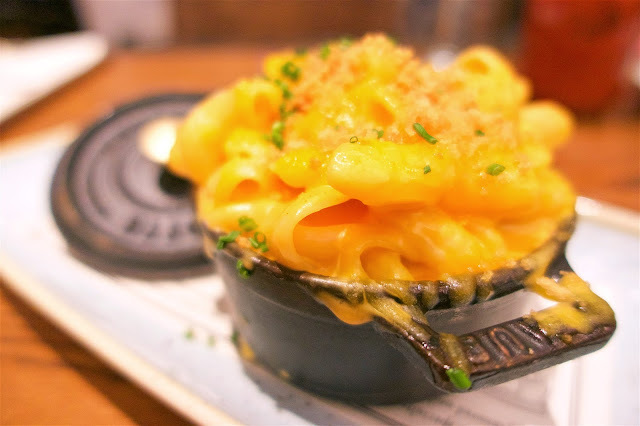 We started with the Macaroni & Cheese. It was super creamy and crazy delicious! We shared our entrees - that is why it is cut in half. They cut it for us in the kitchen. 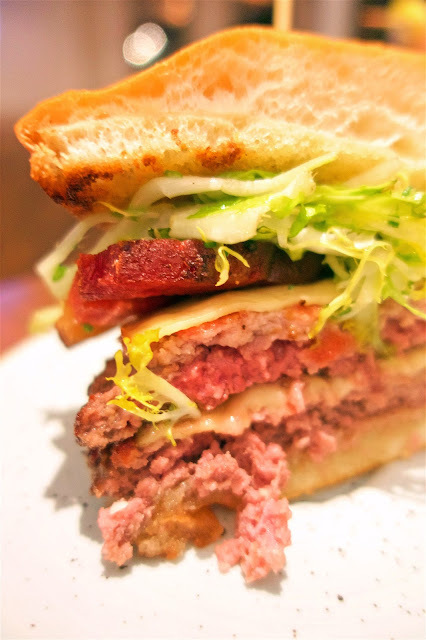 First up is the Swine Burger. 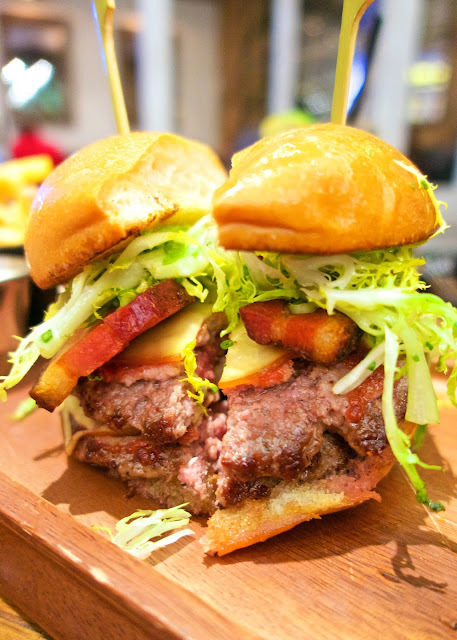 Seriously in the top 5 burgers we've eaten. 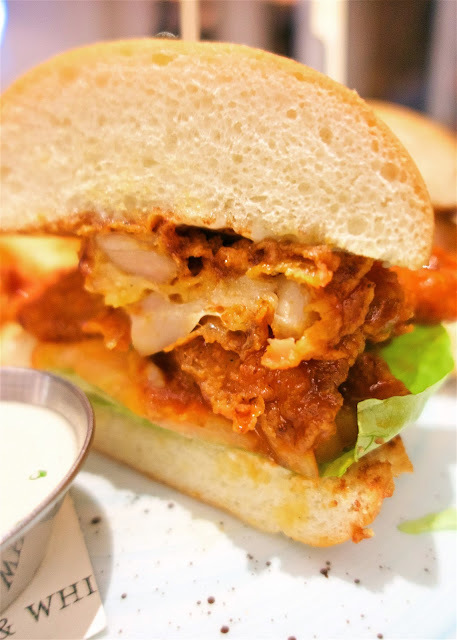 Next up is the Crunchy Yardbird Sandwich. We couldn't come to a chicken place and not get the chicken! It was SOOO yummy! It reminded us of Nashville Hot Chicken. 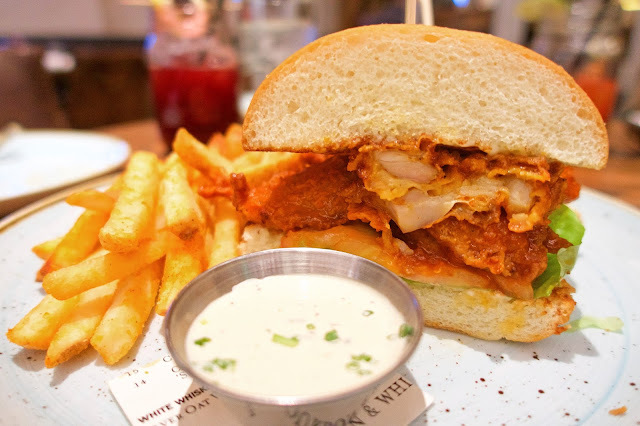 The house-made buttermilk ranch dressing was perfect on top of the sandwich. Next time we have to try the biscuits and dessert. I'm seriously gonna cry! Staying at the Delano right now! Laying in bed trying not to move and let the Hubby sleep in. I grab my phone and the first email I have is this blog post.....and we leave in 3 hours ( insert super ugly sad face cry). 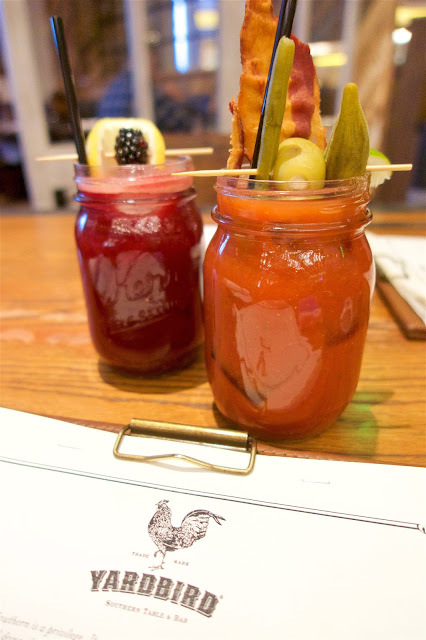 If I knew we could make it to the Yardbird, I'd run down there!! We did manage to eat at Gordon Ramsay's Burgr. Soooo good! Forgot about secret pizza place in the Cosmopolitan, too. So much to see and do. It's on my list for next time! As always, thanks for your great reviews and recommendations! !